A joint venture agreement was signed in October 2015 for developing a high-speed railway between Jakarta and Bandung. Image courtesy of Xinhua. The $5.5bn project will be financed through 75% loan from China Development Bank. Image courtesy of Xinhua. The proposed link, to be developed through Chinese co-operation, will be 93mi (150km)-long. Jakarta to Bandung is a proposed high-speed rail project in Indonesia, connecting the capital city of Jakarta to the textile hub of Bandung. China have been selected by the Indonesian Government over Japan to build the country’s first fast-train rail link. Commencing in 2016, construction on the $5.5bn project will last for three years, with completion scheduled for 2019. The project will be developed by PT Kereta Cepat Indonesia China, a joint venture formed in October 2015 between a consortium of Indonesian state-owned companies, and China Railway International. The project will be carried out on a business-to-business basis, with Indonesia having 60% interest in the joint venture, while China has 40%. China won the project due to its readiness to provide guarantee-free loans, while Japan requested Indonesian Government funding. The high-profile railway contract was cancelled mid-way through due to high cost and funding issues. Plans were changed to a medium-speed rail link that would be 40% cheaper. Indonesian authorities then reverted the proposal to a high-speed rail link, and awarded the contract to China. The proposed rail link will be 150km long, with approximate train speed estimated to be between 200km/h and 250km/h. Daily passenger flow on the rail link is expected to be 44,000 on average, with this number increasing in later years. Travel time between the two central hubs will be reduced to 36min from the original 3h-5h. 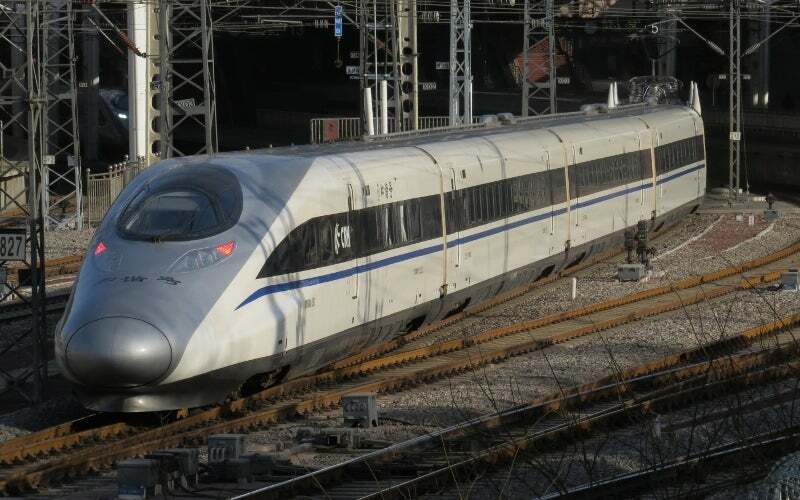 The high-speed railway will have four stations along its route. One of the stations will be in Gambir, a major station located in the executive zone close to Monas, and expected to witness a huge passenger flow. Manggarai will be another station location equipped to handle large number of passengers. A station near the airport in Halim will connect the high-speed rail to a planned light rail, and will provide easy access to the high-speed rail for passengers in south-eastern Jakarta. Another station will be located in Walini in West Bandung , which is to be a new tourism hub in West Java. The project will be financed through a Chinese loan, without aid from the Indonesian State budget. China Development Bank will provide approximately 75% of the funding, and the rest will be arranged by the joint venture partners. The loan will be for a 40-year period, with a 10-year grace period. China Railway Construction Corp (CRCC) entered a joint venture with a consortium of Indonesia’s state-owned enterprises (SOEs). The SOEs are being led by PT Wijaya Karya Tbk to develop the high-speed rail project. "Travel time between the two central hubs will be reduced to 36min from the original 3h-5h." The Indonesian consortium comprises PT Wijaya Karya, a construction company, railway operator PT Kereta Api Indonesia, toll-road builder PT Jasa Marga, and PT Perkebunan Nusantara VIII, a plantation company. The project is expected to generate 40,000 jobs a year during construction, creating a positive economic impact. Associated industries such as smelting, manufacturing, infrastructure, power generation, electronics, services and logistics will also receive a boost, thus leading to a balanced growth in all sectors. Stations and their surrounding areas will experience an increase in activity and development, which will result in new opportunities for the real estate sector. Urban and rural areas along the route will also experience balanced development. L.B. Foster provides track and rail maintenance, friction management and lubricants, and failure detection systems for clients in the rail industry. It manufactures and distributes a wide range of products and services for global freight and transit rail systems. Manufacturing facilities are located in the United States, Canada and the United Kingdom, with sales offices throughout the world.